NEW LISTING! 406 Hawthorne Ct; Raritan Twp. 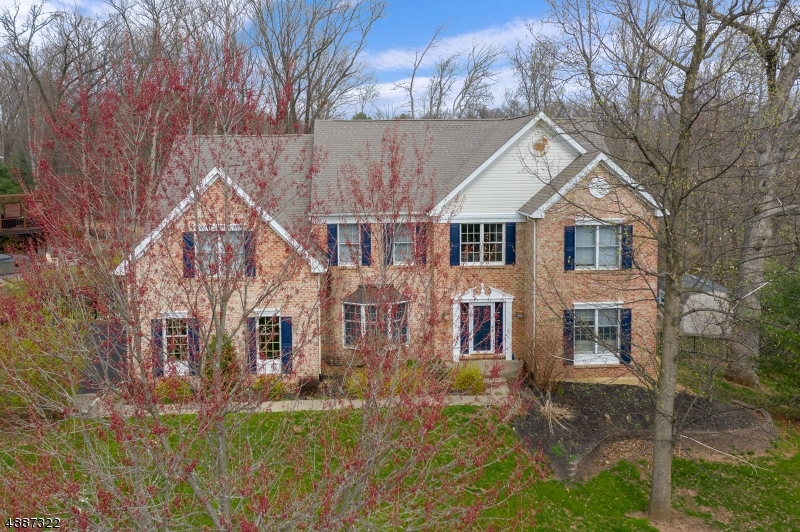 OPEN HOUSE: 5 Turtle Ct; Raritan Twp. OPEN HOUSE: 30 Cherryville Stanton Rd; Raritan Twp. 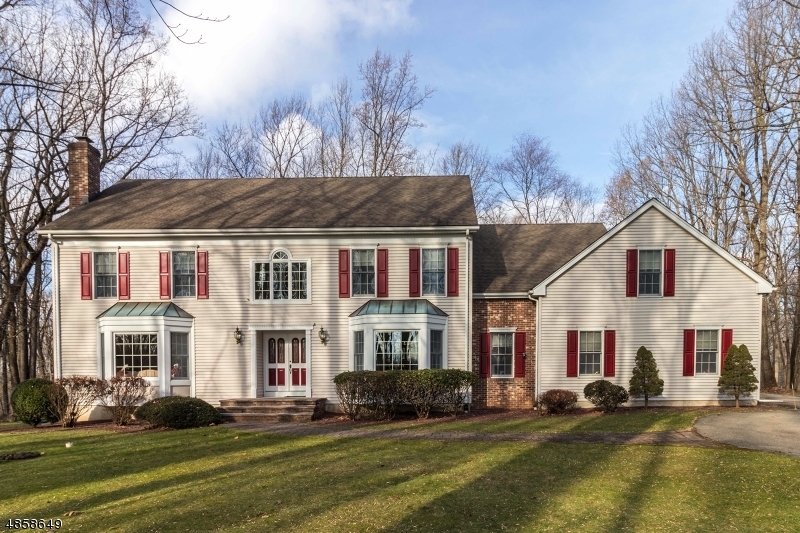 OPEN HOUSE: 32 Cherryville Hollow Rd; Raritan Twp. FROM FLEMINGTON RT 31N TO LEFT ON SANDHILL RD, TO RIGHT ON OLD CLINTON RD, TO LEFT ON CHERRYVILLE HOLLOW TO #32 ON RIGHT. 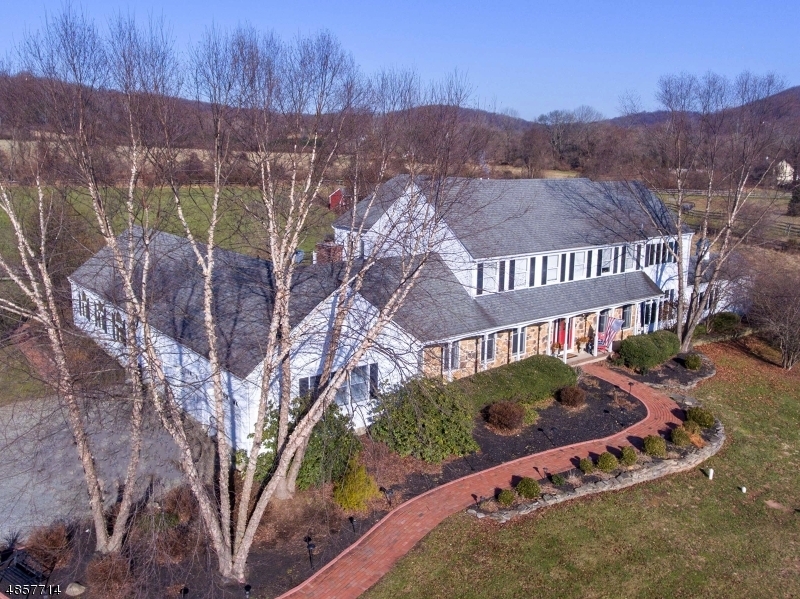 A 4/5BR COLONIAL ON A LOVELY 1.17 ACRE LANDSCAPED WOODED LOT COMPLETE WITH A 40X20 IN-GROUND GUNITE POOL AND A GREAT LOCATION OFF A VERY PRETTY COUNTRY ROAD WITH EASY ACCESS TO SHOPPING OPPORTUNITIES. THE HOME FEATURES A RECENTLY UPDATED KITCHEN SOLID WOOD CUSTOM OAK CABINETS, UPGRADED STAINLESS STEEL APPLIANCES, AND A CUSTOM TILE BACKSPLASH. OTHER HIGHLIGHTS INCLUDED A FABULOUS FAMILY RM WITH A RAISED HEARTH BRICK MASONRY FIREPLACE, A BRIGHT-AND-SUNNY PICTURE-WINDOWED FORMAL LIVING RM WITH MIRRORED WALLS, A GREAT FORMAL DINING RM WITH PELLA ACCESS DOORS TO THE PATIO & PORCH, AND A PRIVATE 1ST FLOOR STUDY WITH BUILTIN BOOKSHELVES. IT ALSO OFFERS AN EXPANSIVE MBR WITH A LARGE WALK-IN & ITS OWN PRIVATE BATH, SPACIOUS SECONDARY BDRMS, A NEW ROOF, HARDWOOD FLRS, A 2 YR OLD FURNACE, A KOHLER GENERATOR, & MUCH MORE!